Every year, Samsung launches two high-end smartphones in two different Quarters of the year. 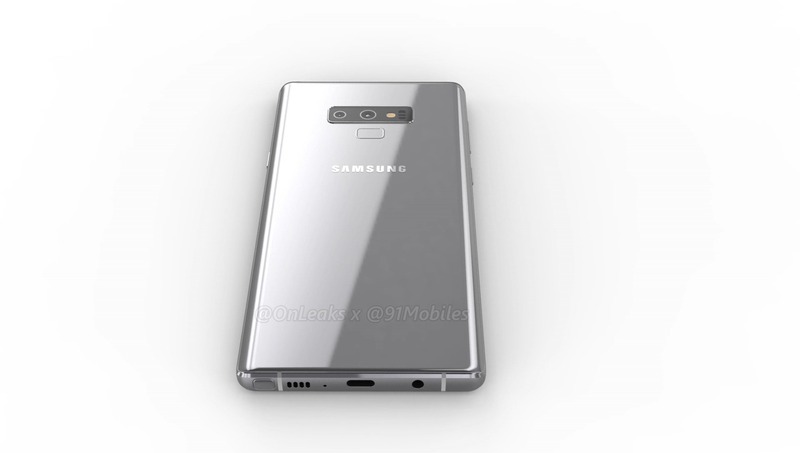 The Samsung Galaxy S9 and S9+ were officially launched in March, and we are now waiting for the Samsung Galaxy Note 9, the successor to the last year’s Galaxy Note 8. 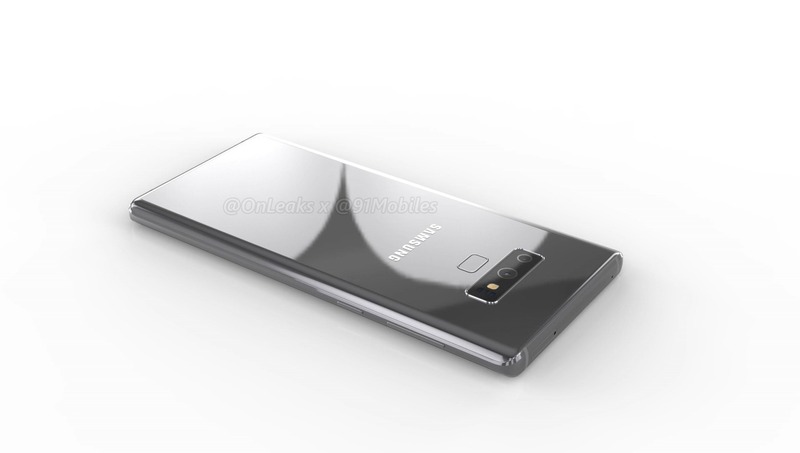 Today, Steve Hemmerstoffer aka OnLeaks revealed the design of the Note 9, thanks to the renders based on Factory CAD. Steve is one of the most trusted sources when it comes to smartphone leaks, so we do not doubt the renders shared by him today. 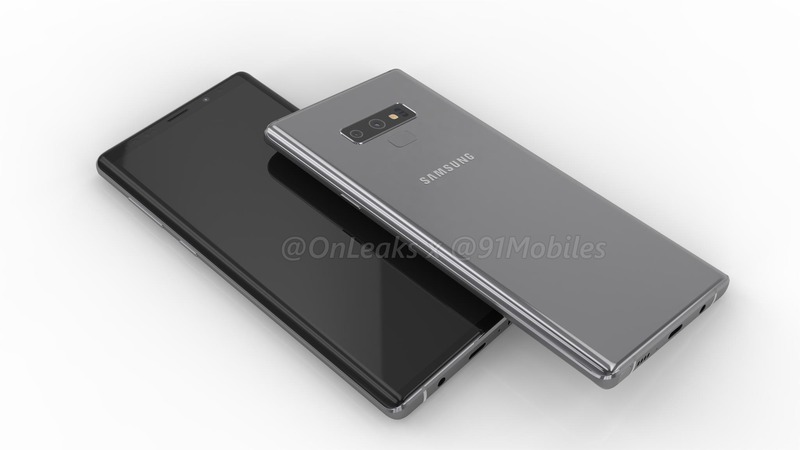 As the renders above show, the Samsung Galaxy Note 9 isn’t going to differ a lot as compared to its predecessor. We have the same design on the front with an Infinity display that is curved on both sides. 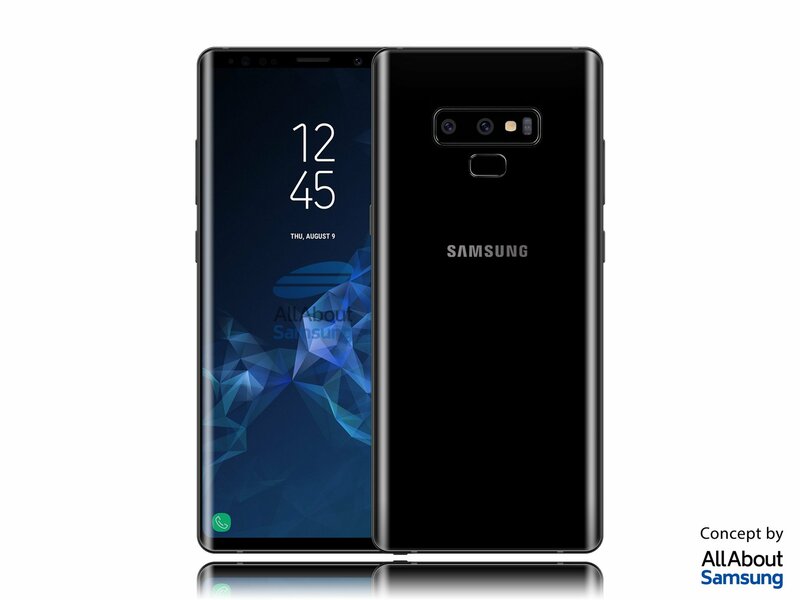 It seems like the bottom bezel gets a bit shrunken as compared to the one on Note 8. On the rear, we can see one of the most noticeable change. We already knew how the rear is going to look like, but with these new renders, the previous leak has been confirmed. The dual camera setup is still placed horizontally, but this time, the fingerprint scanner is placed below the camera module and not on the side of it. Considering that the Note 9 is going to be a huge device, this new location might not be too comfortable but is surely better than the last year. And yes, this also means that there is no in-screen fingerprint scanner on the Note 9. 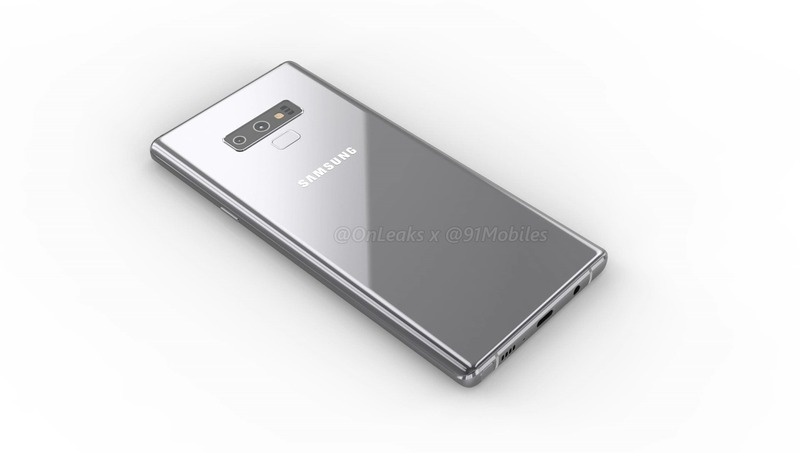 So, better expect it on the next year’s S10 or S10 Plus. 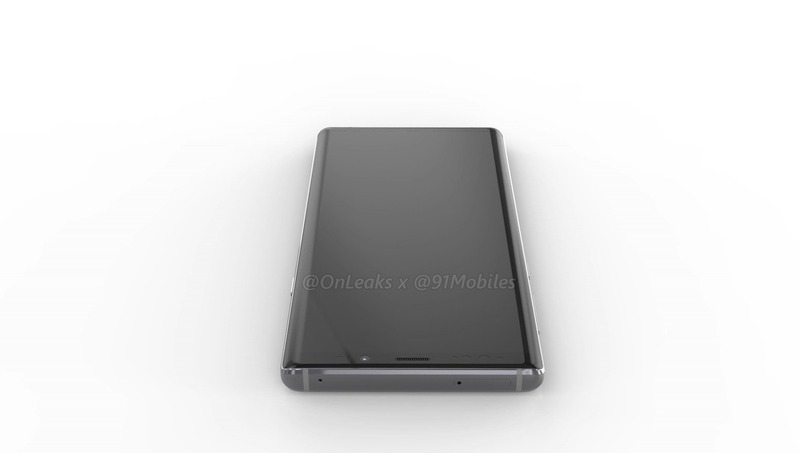 The dimensions are 161.9 x 76.3 mm and the phone isn’t very slim as it is 8.8mm regarding the thickness. As per Steve, the screen size is remaining almost the same, i.e., around 6.3-6.4-inch. With all these Android companies adding notches and removing the headphone jack, Samsung is still here with its unique design language. 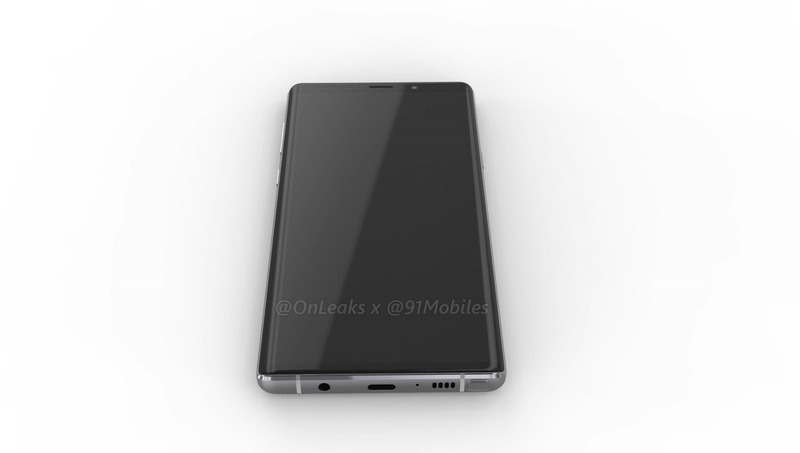 The company isn’t going to ditch the headphone jack on the Galaxy Note 9 which is a good thing. 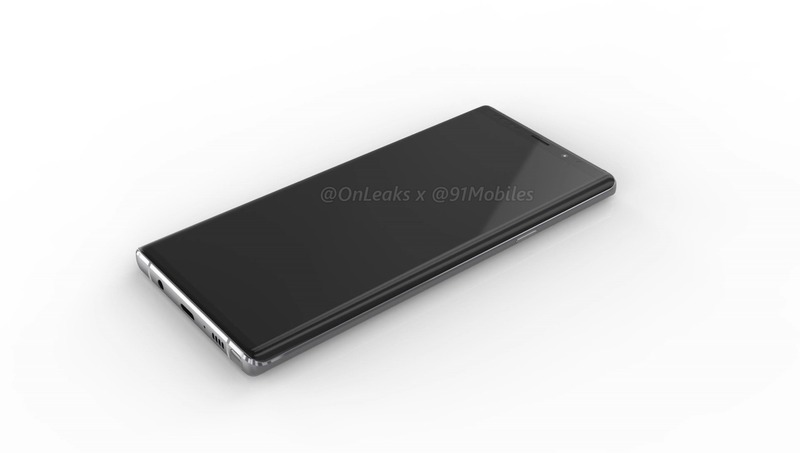 Talking about the rumored Samsung Galaxy Note 9 specifications, the phone has a QHD+ display, Snapdragon 845/Exynois 9810 chipset, 6/8GB RAM (8GB RAM is not confirmed yet! ), and up to 256GB internal storage. 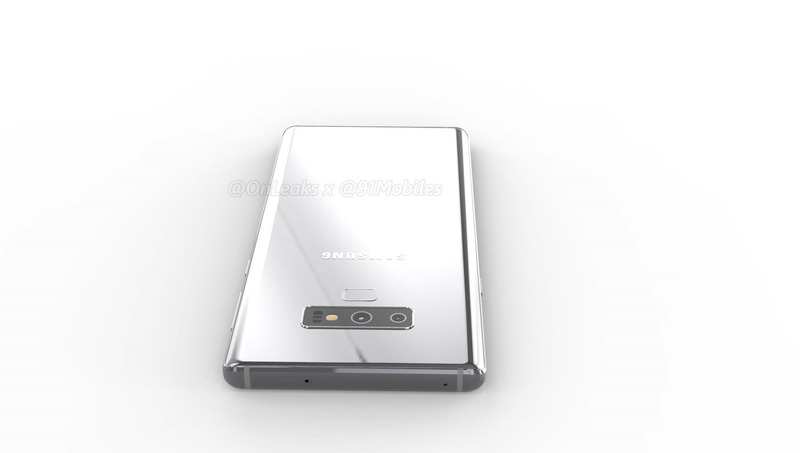 We aren’t sure if Samsung has plans to upgrade the dual rear camera setup or it will remain the same as one on Galaxy S9+. We expect a bigger battery size this time. Some leaks reveal that the phone is coming with a huge 3,850mAh battery under the hood which is great!